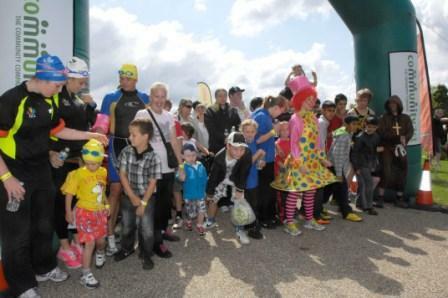 For the past five years Community 1st Oldham has supported the Oldham Run4Fun. Hosted by national sports development charity StreetGames and Oldham Community Leisure, and sponsored by Community 1st Oldham, the run takes place in Alexandra Park and is free to enter. Participants run, jog or walk around the park and, as the Run4Fun is all about participation rather than winning, everyone who completes the course receives a medal. Community 1st Oldham is committed to supporting local healthy improvement activities such as this event.